This sword design is very close to some existing museum examples in Poland and Germany, dated to 14th century. My idea was to make a contrast between simple, battle sword and highly decorated scabbard, which could possibly added later, in 15th century. We know examples of swords with later scabbards. 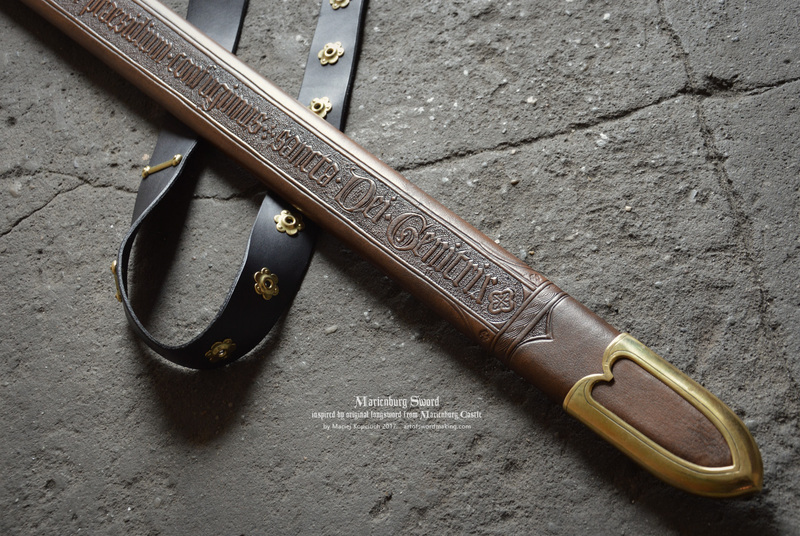 Price for the sword and scabbard: $3000. Shipping and a special case included. I really like this one and really hope it goes to live with somebody else, soon! thank you guys nice to hear that opinions and comments. 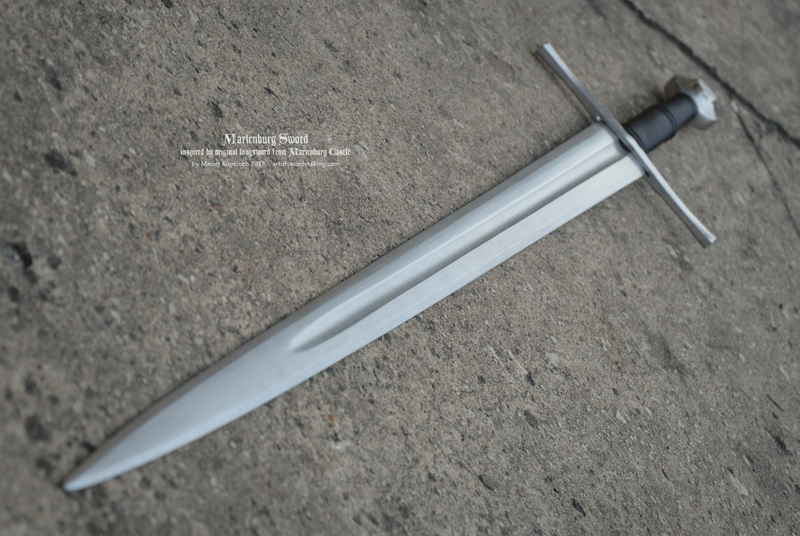 here, I want to show you what sword inspired me to make this one . 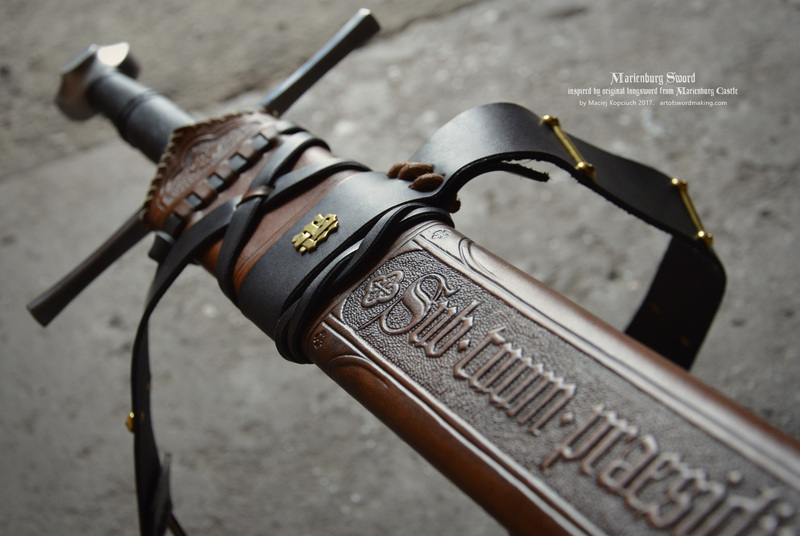 the most intereting is the cross-section of the blade - it seems to be related to Passau marked swords mostly and is very common style of profile. what gives that kind of cross-section? 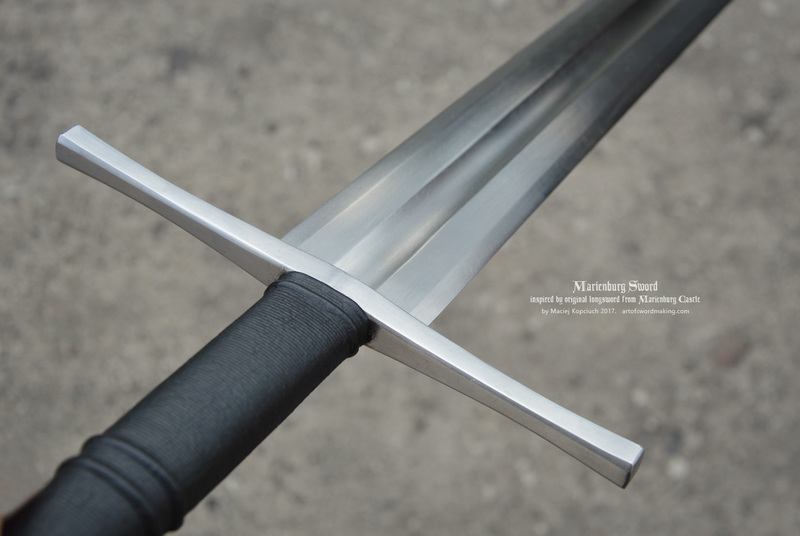 well, as far as I was trying this sword and other similar profiled I can say it provides better stiffness and strength (durability) of the edges. the sharpening is made only on last 5-8mm from the edge. this gives us thicker area near the edge. also - the flat area of the blade is actually (and should be) not flat ( sounds funny, I know ) but slightly sloping, with gentle ridge on the center. so, it is not good to make it "just flat" on the whole area this is important - and this is difficult - but provides better parameters. 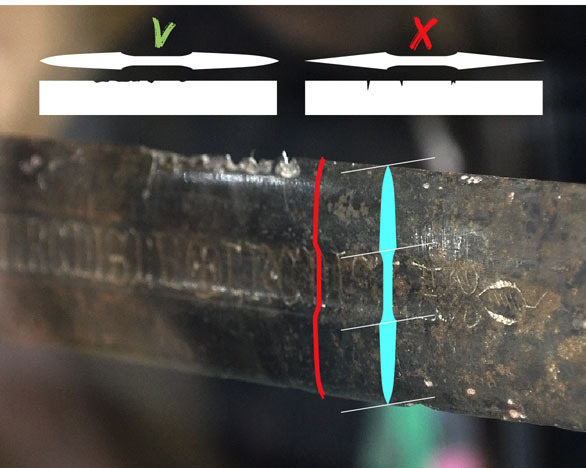 second point is that this cross-section make the whole sword a bit heavier - and they originally were heavier (mostly between 1500-2200g with length between 113cm and 127cm mostly). Original sword is 110,9cm long and I have added a few cm to the tip, which is missed in original one. All other parameters are the same or very close to museum sword. 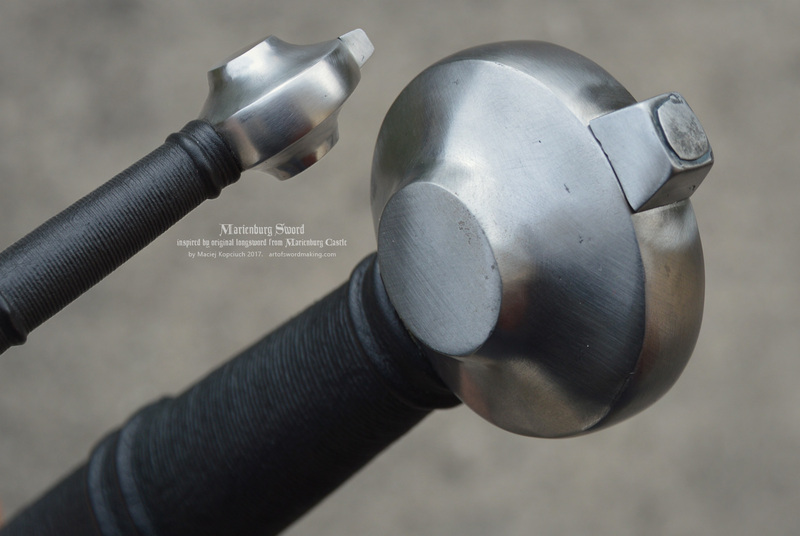 Many late 13th and 14th century warswords have thatt softened hexagonal geometry, yet very few makers recreate that. You do a great job with subtlety of such a crossection. I must admit I was not a fan of this kind of longsword blade cross-section, but you actually reconciled me with that with your last swords! Guillaume - thank you for your comment. I was also not convinced to this type of cross-section - but after some research I think they knew what they need - and that why designed this From the first look it seems to be flat and easy to recreate... that is wrong judgment if you try to make it - everything is more clear and then the maker will appreciate more medieval craftsmenship. The point is they designed this for hard battle against armoured enemies, when edge must be durable and strong enough. 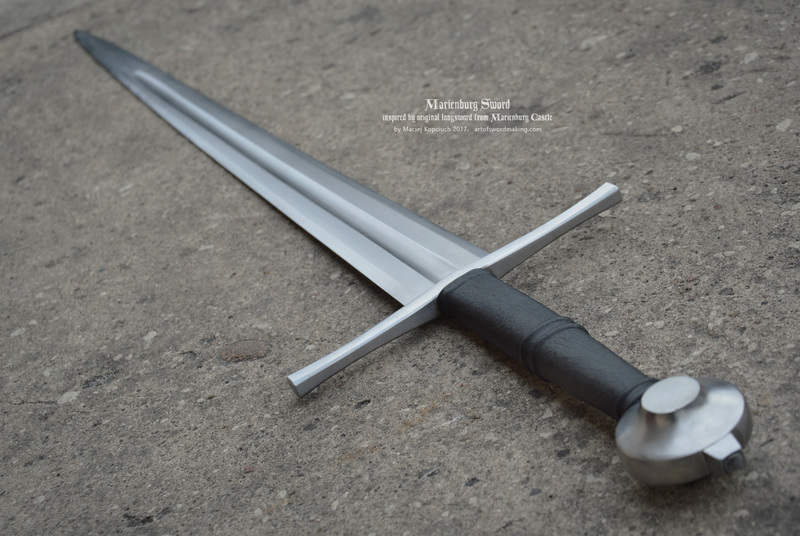 Also these swords are heavier - and this is good featue, provides strong hit / cut / thrust. Fantastic work Maciej! Thanks for the explanation of the cross-section. Every time you post something like this, I learn quite a bit. I believe that answer to "WHY?" is more important than answer to "HOW?" 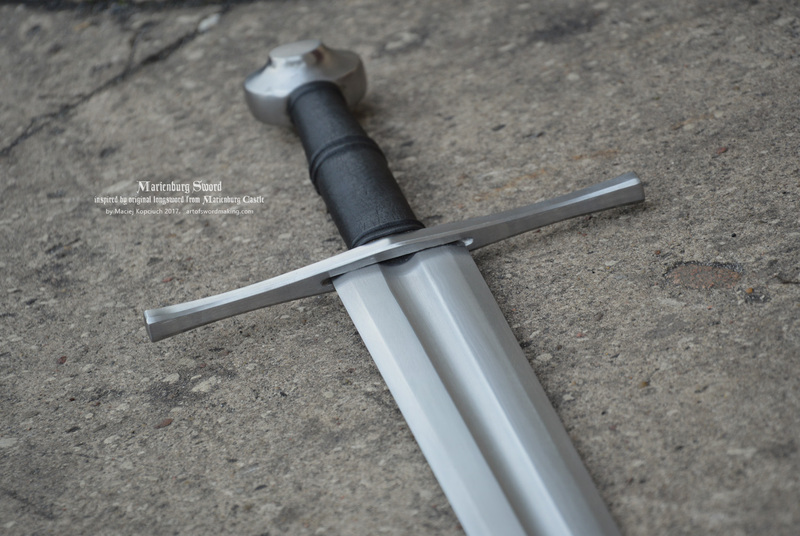 Important especially when we are talking about recreation of medieval swords and other historical objects. 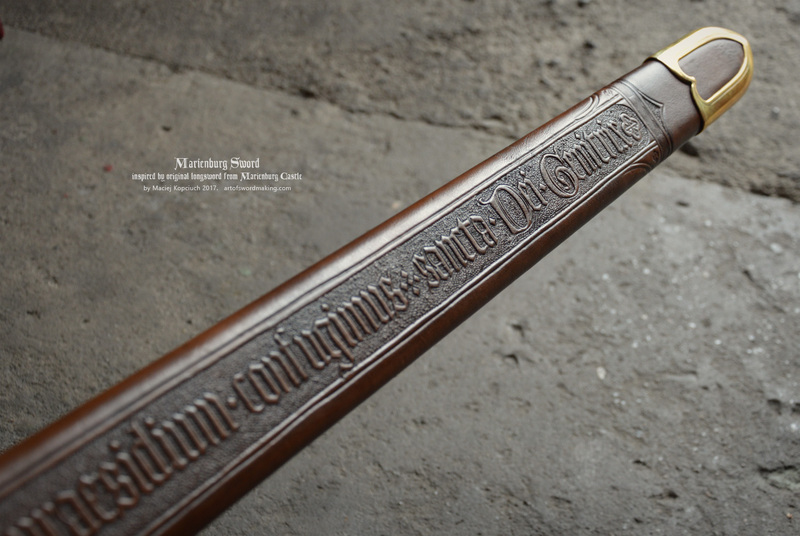 I`m always happy to draw your attention to some details which make medieval swords such sophisticated weapon. Here, I also attache my clasification of most important cross-sections of medieval swords... can be useful I hope. Always interesting to read the opinions and the knowledge of Maciej ! 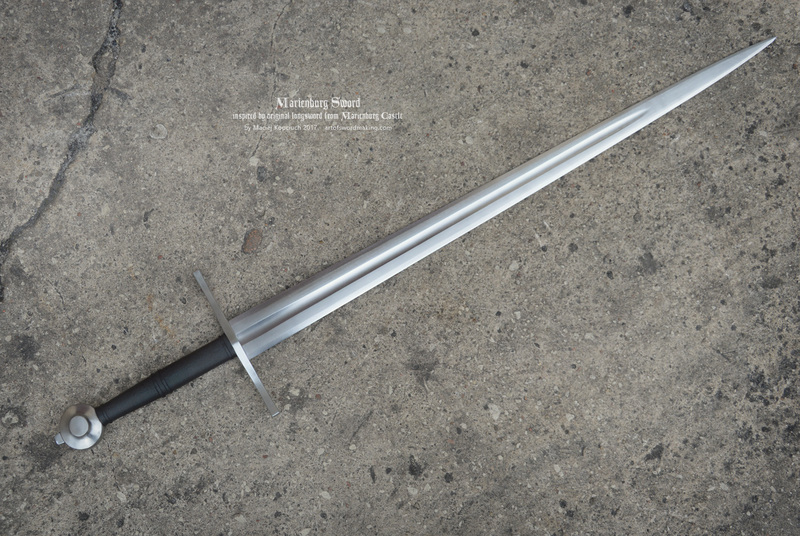 The sword is still available - price drop to $2800. Long time admirer of your work Maciej, and this piece is absolutely stunning. I've desperately tried to get the pennies together to buy this but unfortunately I feel that I'm going to miss out on this one. I have a question, how often do you have 'in stock' pieces? I notice there's nothing on your website at the moment. 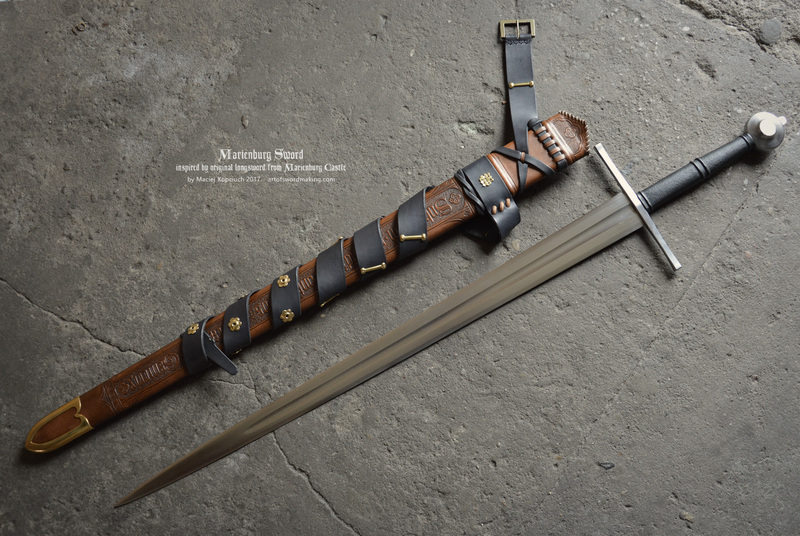 I imagine your waiting list for bespoke items is growing so I was thinking that this route may be the best way to get hold of one of your extraordinary swords. I see several in stock pieces. 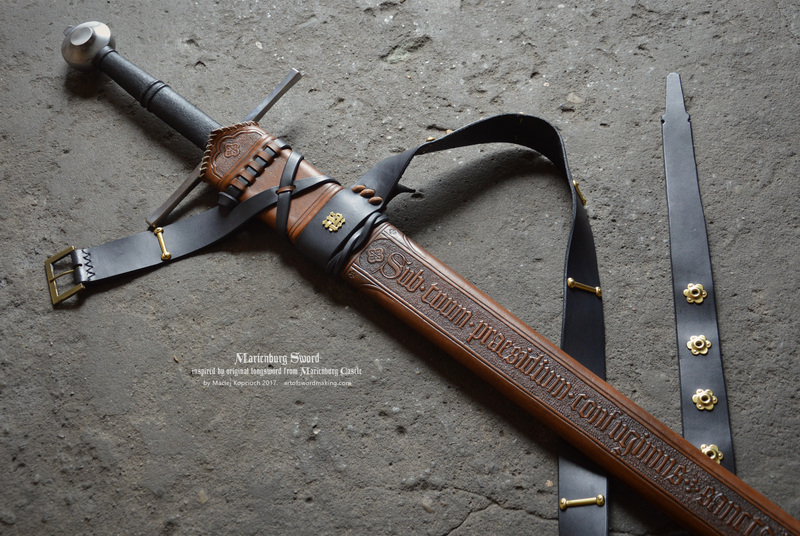 That scabbard is incredible. Beautiful color and sharp detail. I would love to know how you get the tooling that crisp. Or more accurately, I wish I had the skill to get my tooling that crisp. and thank you Terry - I think the point is to make it according to this what we can find on original scabbards. There is a lot of inspiring details, also about the making technique. 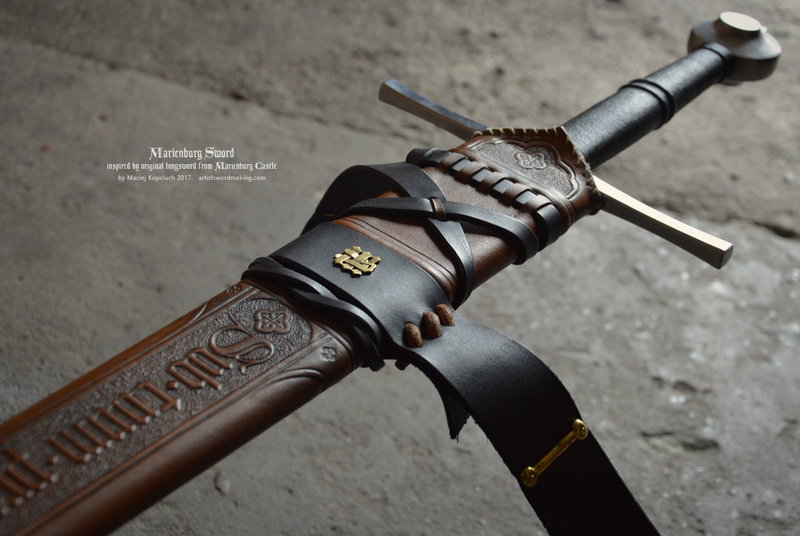 I`m a fan of more plain and rather flat decorations - means more functional scabbards, battle swords and equipment - than highly decorative or ceremonial ones. However sometimes I make something like this, special design based on historical motifs, to show what is possible to create. More decorated scabbards we will find later - in Rennaissance time, but it is out of my area of interest (swords became no longer as important weapon as earlier). There will be review soon! Thank goodness it found a home!